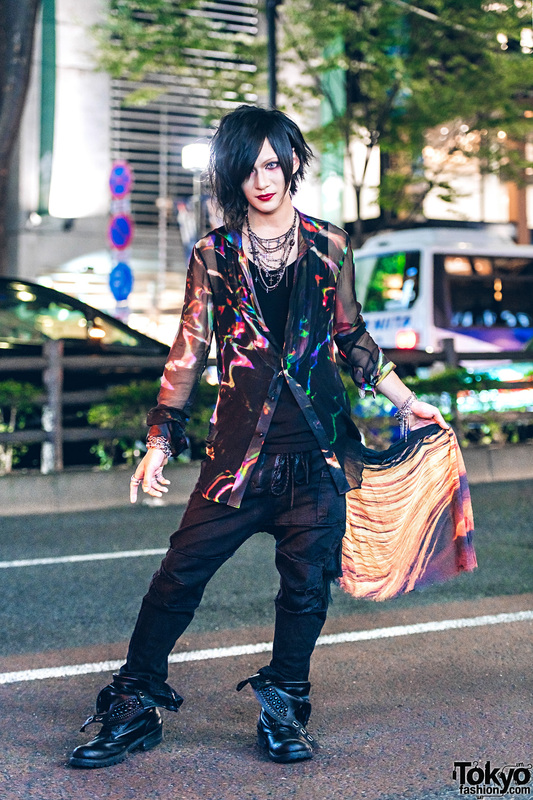 Harajuku part-time worker in bold makeup and black streetwear style with neon graphic prints while out and about on the street one evening. 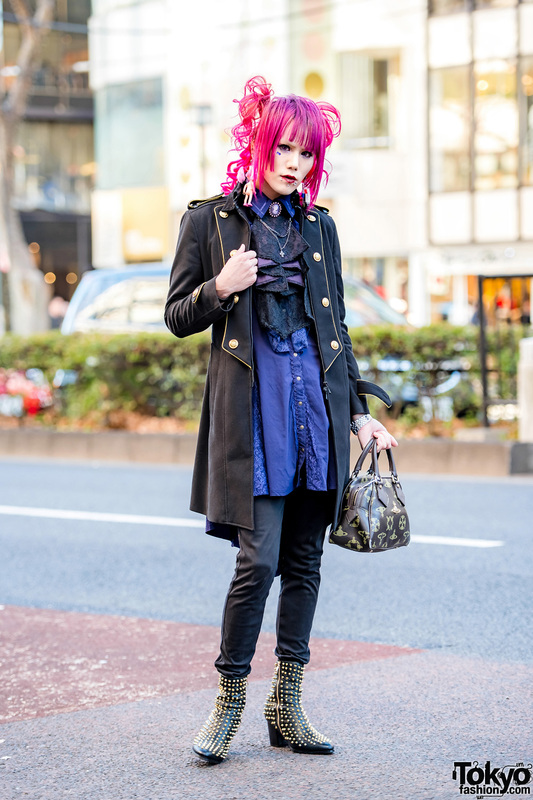 Harajuku personality Hironyan showcasing a steampunk-inspired look while out and about one afternoon. Harajuku girls in black and white fashion wearing zipper vest over mesh top, baggy pants, platform shoes, handbag, white t-shirt, long printed skirt, heeled boots, mesh bag, pouch bag, and accessories. 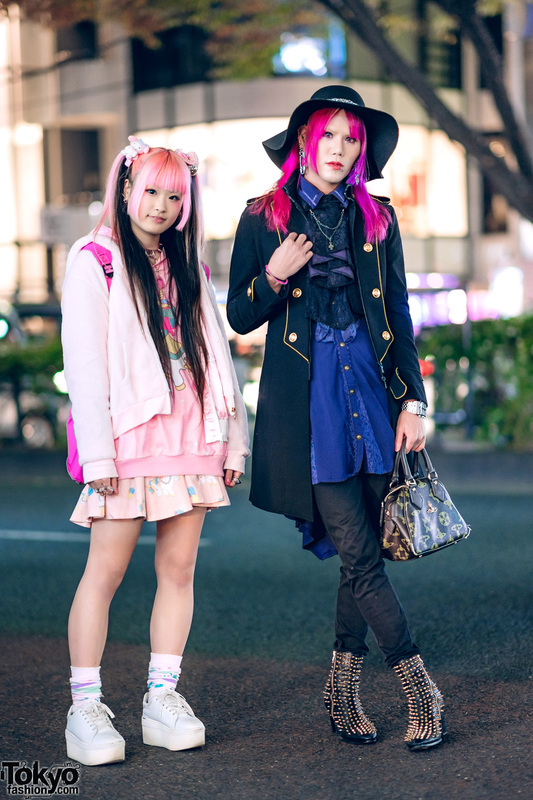 Harajuku girl in street style goth fashion with used and resale items.